Have you ever wanted to redesign your dashboard? 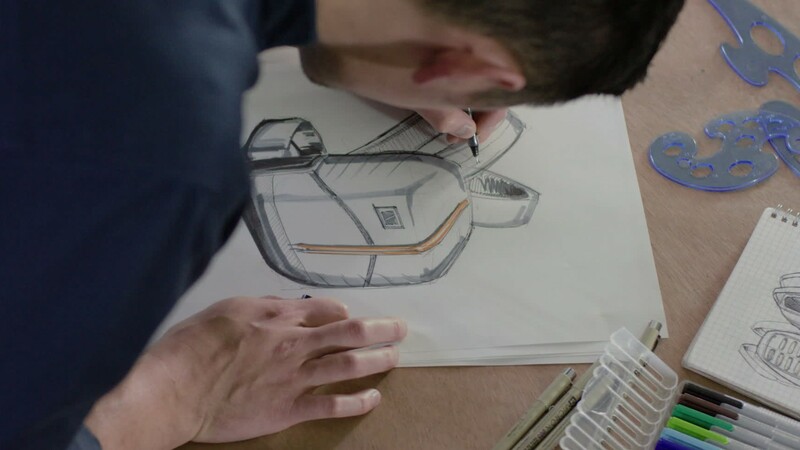 With a blend of skills in art, business, and engineering, commercial and industrial designers develop and improve concepts for everyday products— from cars and appliances, to toys and sneakers. These designers take into account the function, appearance, production costs, and usability of products when developing new ideas. Some designers specialize in a type of product, such as bicycles or furniture, but they all make their designs with the client’s project requirements in mind. Their work spaces often have drawing tables to sketch designs, meeting rooms with whiteboards to brainstorm with colleagues, and computers and office equipment to prepare designs and communicate with clients. Engineers and other experts help industrial designers ensure their designs can actually be made. They may travel to testing facilities and to clients’ and users’ locations to ensure their designs are on track, and visit manufacturing facilities to observe production. Commercial and industrial designers may need to meet with clients on weekends or evenings. Those who are self-employed or work in consulting firms also spend time looking for projects and competing for contracts. A bachelor’s degree in industrial design, architecture, or engineering is usually required for entry-level positions. An electronic portfolio of design projects is needed to apply for jobs. See more details at O*NET OnLine about commercial and industrial designers. Commercial & Industrial Designers by U.S. Department of Labor, Employment and Training Administration is licensed under a Creative Commons Attribution 4.0 International License.